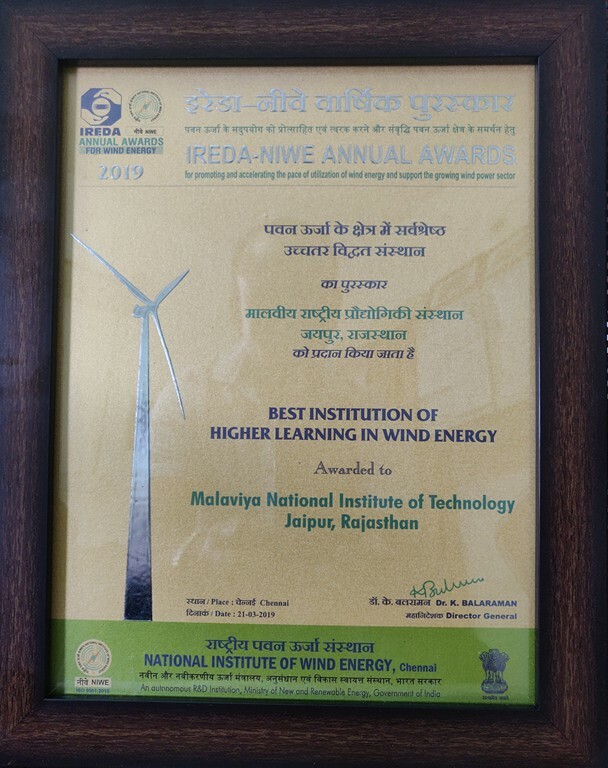 Malaviya National Institute of Technology Jaipur is conferred as the Best Institution of Higher Learning in Wind Energy in the "Indian Renewable Energy Development Agency (IREDA) - National Institute of Wind Energy (NIWE) Annual Awards for Wind Energy 2019” in a ceremony held on 21-03-2019 at NIWE Chennai, on its Foundation Day. 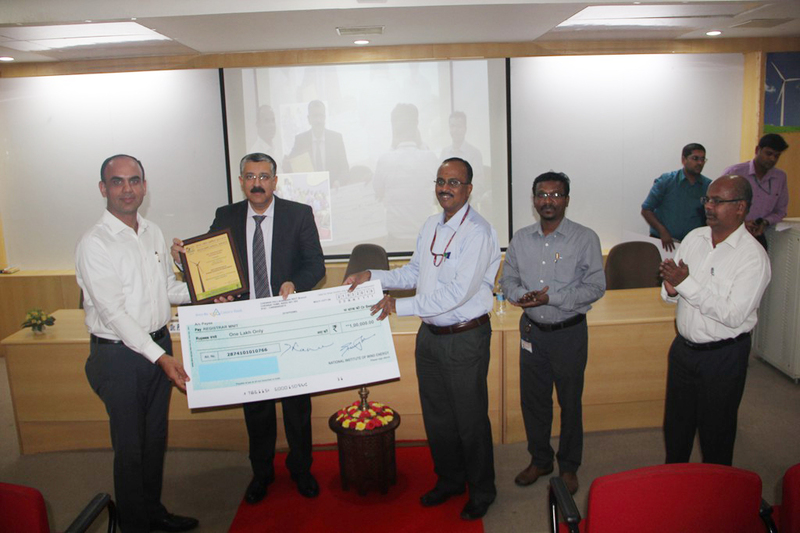 The award comprises 1 lakh INR along with citation. The award recognises, celebrates and rewards achievement and excellence in innovative technology / new initiative / mechanism in institutions of higher learning in the domain of wind energy.